PST is the proprietary file format for the Microsoft Outlook database. Outlook is the commonly used mail client, moreover it is the personal manger application too.it is used in many organization as well as for personal needs. In order to prevent unauthorized access to the confidential documents stored in PST files users often protect the PST files using passwords. PST Password Breaker to provides other options to import or export PST file, archive the emails, define rules, mange folders, etc. Sometimes the password protection put the users in trouble. Yes there are certain situations, where the passwords become a burden to the users. Most of the users own multiple passwords overs various documents and it is often hard to remember these passwords or pins. As far as an investigator is concerned, he needs to break password over the PST files in order to collect the evidence and artifacts from Suspects account. So from the digital forensic point of view password breaking is commonly faced hurdle. Most of us put a password protection while archiving the emails to PST file in order to prevent the unauthorized access to the messages, but later user may forget this password. This is the most common scenarios where user needs to break his own password to access the email messages. Let's seethe possible solution to access these email messages without a password. The primary solution is to remove the password protection from outlook profile. This is possible only if the password is known. Below describes the manual method to remove the password protection from the PST file. To remove the forgotten password manually, user need to possess two exe files namely, scanpst.exe and pst19upg.exe. First run scanpst.exe in repairing mode on the target PST. Then run pst19upg.exe on PST file to recover the file out of password. This manual method has certain limitations that it is applicable only on ANSI PST files not on Unicode PST files. Moreover to run this application last amount of disk space is required. So this manual method cannot be considered as a feasible solution to break the PST passwords. So always prefer a smart Crack PST Password solution to easily break the PST out of passwords. The manual method of breaking the PST passwords requires considerable amount of time. Busy investigators and the users do not prefer this manual solution. It is better to choose a 3rd Party Commercial ware that offers better output. PST Password Breaker is smart Utility capable of recovering PST files from passwords. It is capable of removing multilingual from ANSI/ Unicode PST files. 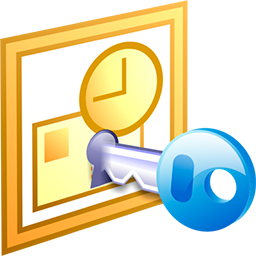 The Crack PST Password is smart to process files in bulk, which helps the user to save time and effort. This progream possesses any pre-requirements and a simple user interface so anyone can use it easily. Copyright © 2019 www.pstpassword.net. All Rights are Reserved.